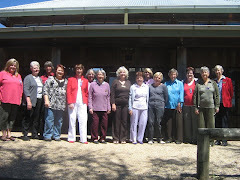 A group of ladies from the LGDVC went to Tamworth to celebrate the 'gathering of VIEW clubs' from NSW. 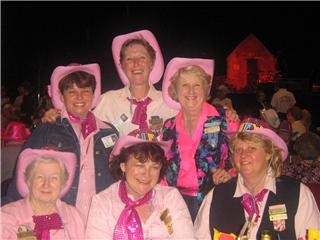 This band of adventuerers drove in convoy to the wild west town of Tamworth to have fun with a couple of hundred women and be participants in a a Scottish wedding and a wealth of other fun activities. 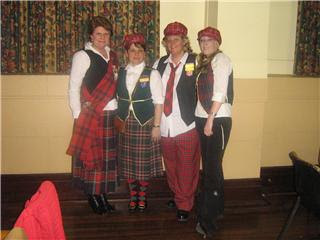 On the way to the Scottish wedding are Sue, Pauline, Fiona. Hi Lydia, what a wonderful site LGDVC blog has become! It is wonderful to have such a dedicated publicity officer to keep everyone informed on the goings on not only within our club but throughout VIEW in general. Thank you again for a wonderful job well done. Keep up the good work. Regards Pauline, President.